When my son was about a year and a half, we visited the San Diego Zoo with him for the first time. We only covered about half of the zoo at the time because it’s huge! At 100 acres, it’s one of the largest zoos in the world and home to 4,000 rare and endangered animals which represent more than 800 species and subspecies. 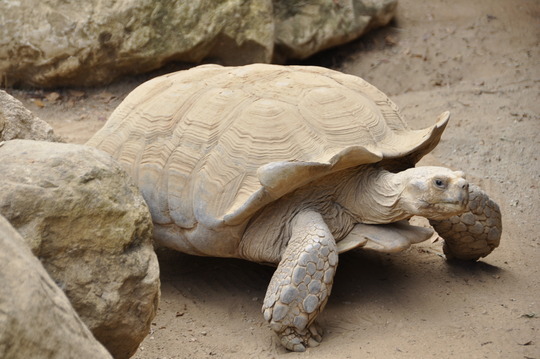 Last week, we had the privilege of attending the grand re-opening of the Fetter Family Galapagos Tortoise Exhibit. 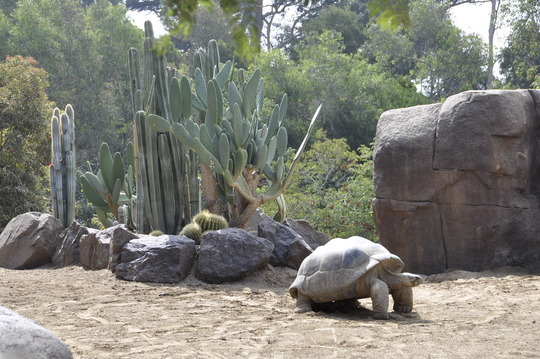 Apart from the Ecuadorian Islands, the Zoo has one of the largest colonies of Galapagos tortoises in the world. And now, they have a brand new living space, thanks to San Diego Trustee Emeritus Tom Fetter, and 1,700 donors. You may not know that the zoo has been home to 17 Galapagos tortoises since 1928, which means many of them are over 100 years old. With a bigger living space, enhanced landscaping, three new pools and state of the art amenities, these tortoises will be living the next several years of their life in luxury. 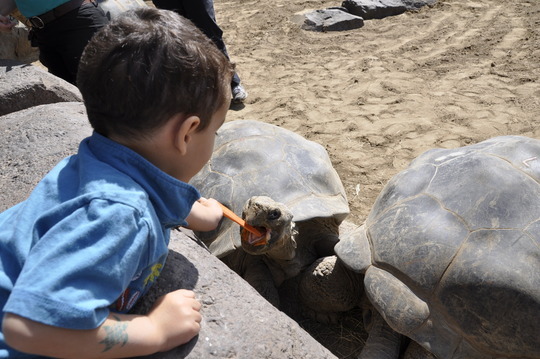 Located in Reptile Mesa, visitors can pet and feed the tortoises at certain times of the day. 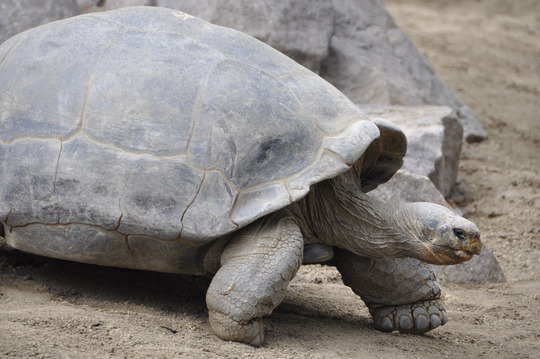 They can live to be 100 years or more, with the oldest living to be 171 years old. They can go without eating or drinking for up to a year. You know those shells? They actually serve a purpose and can store food and water. The San Diego Zoo is dedicated to the conservation of endangered species and their habitats and participates in research and education around the globe. No compensation was received for this post. I was invited to attend a media preview at the zoo. This entry was posted in Free Admission in Octobe to San Diego Zoo, SD Zoo. What I learned from Stonyfield and giveaway! Im trying to make some healthy changes in our family. I’m slowly integrating organic products and trying to change our eating habits. 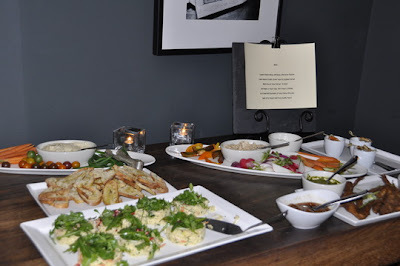 Last week Stonyfield invited bloggers to a special evening out to learn about healthy eating and the amazing benefits of yogurt. I love yogurt and have recently become hooked on Greek Yogurt. It is creamier, more satisfying and in my opinion it is much tastier than regular yogurt. We learned about the benefits of yogurt and in particular the benefits of Oikos Organic Greek Yogurt. We were also able to try some amazing entrees, appetizers and even some delish dessert and all were made with Greek Yogurt. I learned that we can easily substitute Greek Yogurt for mayonnaise, sour cream and so much more. The dishes were out of this world and so tasty! I’m making chicken salad tomorrow and plan on using Oikos Greek Yogurt instead of mayonaise. I also learned that there are only a few true Greek Yogurts on the market. There are plenty of Greek Style or Greek Inspired Yogurts but one a few are true Greek Yogurt. Do you know how to tell if it is authentic Greek Yogurt? Grab a spoonful and hold it upside down. If it stays and doesn’t move, it is authentic. 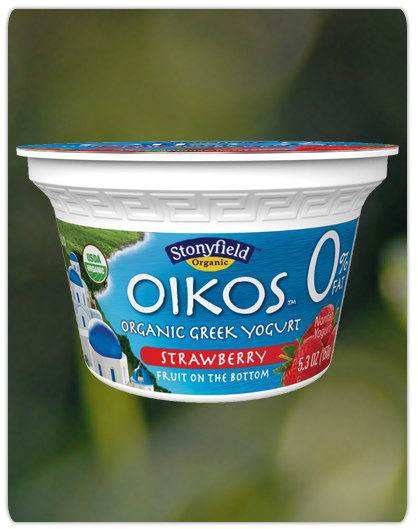 Stonyfield’s Oikos Greek Yogurt is 100% authentic and certified organic. Ready to try out some Stonyfield Greek Yogurt? Enter to win a goodie bag from Stonyfield. All you have to do is leave a comment and you will be entered to win a gift bag. Contest ends on Sun, October 3rd at 11:59pm. Winner will be selected at random. Good Luck! “Beauty and the Beast Sing-a-Long” is currently playing at the El Capitan theater in Los Angeles. If you use the code “Daytripping Mom”, you can get tickets at the special rate of $9.00 a piece. The discount for Tiny Tot Tuesday or any other day Monday through Friday (Sept 27-Oct 7). Show times are at 10:45, 2:00, 4:45, and 7:30 and tickets are on sale now at the theater, online, or via phone (1-800-DISNEY6). 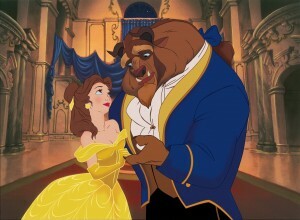 If you or the kiddos love Beauty and the Beast, this is one fun show you do not want to miss!